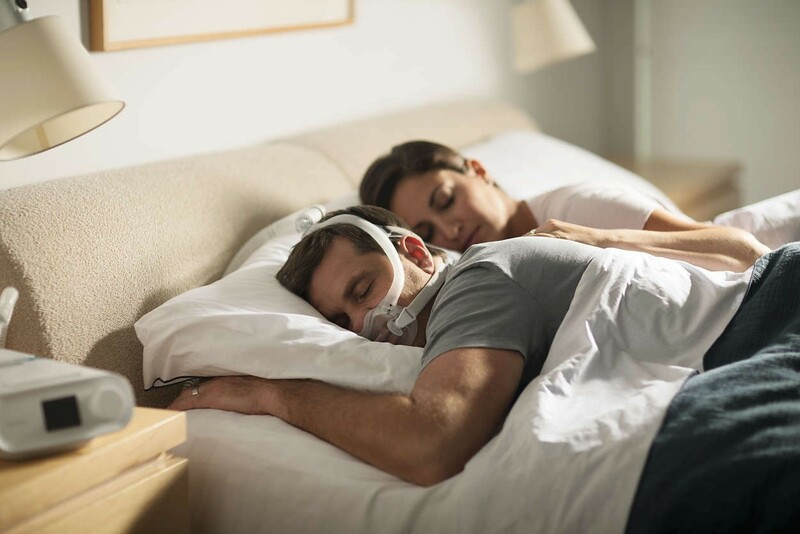 The DreamWear Full Face CPAP Mask is a full face version of the innovative DreamWear mask from Philips Respironics. The cushion covers the mouth and seals at the bottom of the nose. This is a full face mask that delivers therapy through the nose and mouth. Much like the nasal and nasal pillow versions, the DreamWear Full Face is designed to minimalize the contact points on the face. 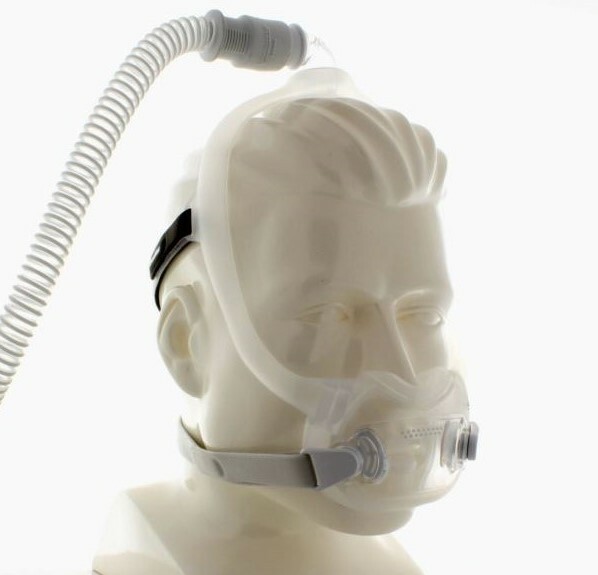 The maks only contact with the front of the face is the cushion itself while the frame runs up the side of the face to the top of the head where the elbow connects to the CPAP hose. 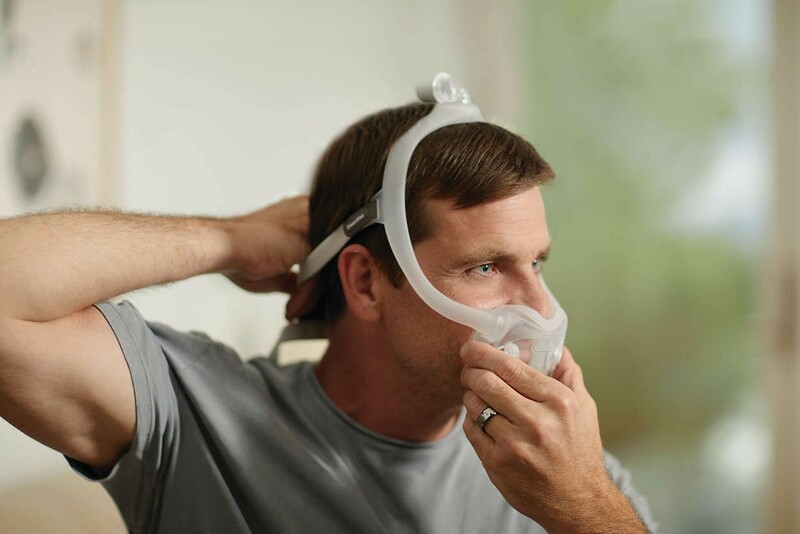 The frame of the DreamWear Full Face CPAP Mask is the same frame found on the other versions of the DreamWear mask. The hollow frame which has a hose connection at the top of the mask provides an alternative to masks that have connections at the front of the mask, helping alleviate tug on the seal of the mask. 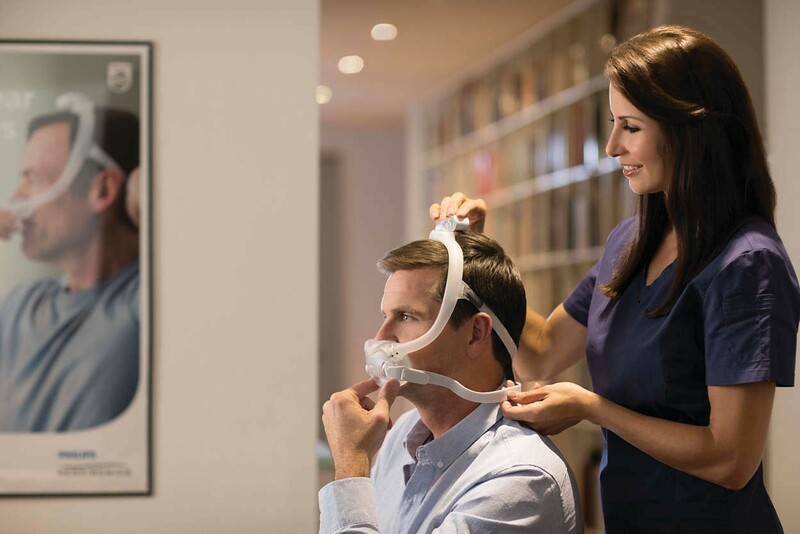 The frame included with the DreamWear Full Face is cross-compatible with the other cushion versions of the DreamWear, meaning the full face cushion can be removed and replaced with the nasal or nasal pillow cushion instead. Please note, the headgear would need to be changed as the full face version uses a different headgear version than the nasal and nasal pillow versions. You can view the headgear needed for the nasal and nasal pillow cushions here: Headgear for DreamWear Nasal and Nasal Pillow CPAP Masks. Unlike other full face mask cushions that cover the entire mouth and nose, the DreamWear Full Face cushion covers the mouth while sealing at the bottom of the nose to cover both nostrils. Made with silicone polycarbonate, the cushion does not cover the bridge of the nose, helping alleviate irritation and leaving the line of sight even more unobstructed. The headgear for the DreamWear Full Face incorporates bottom straps intended to help support the cushion and provide a better fit. 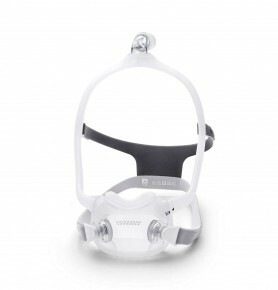 The unique headgear allows the DreamWear cushion to be supported without the need of a bulky frame or forehead piece found on other full face masks. Additionally, the bottom straps snap onto the cushion easily using magnetic clips for easy removal and assembly.